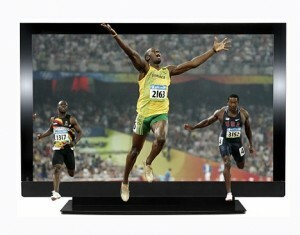 The BBC has confirmed it will broadcast some live 3D coverage as part of a 3D trial during the London 2012 Olympic Games. The trial coverage will be broadcast via the BBC’s HD Channel and will include the opening and closing ceremonies, the men’s 100m final and a highlights package at the end of each day. The free-to-air broadcast of these events in 3D will be available to anyone who has access to a 3D TV set and to HD Channels, regardless of which digital TV provider they use.